For breast cancer diagnosis, optical imaging is used as an adjunct device to ultrasound or mammography imaging as it provides information from a different angle than that of clinical imaging. Generally, the optical imaging devices transmit light in the near infra-red (NIR) range of 600–1000 nm which penetrates several centimeters into the breast tissue and is absorbed and scattered by the tissue components. The detectors measure the unabsorbed light and images are reconstructed using computer algorithms . The CTLM system has been developed by Imaging Diagnostic Systems, Inc. It is a painless, non-invasive, breast imaging system that does not require breast compression or exposure to radiation. It has the potential to be combined with other diagnostic tools such as mammography, ultrasound, MRI, and positron emission tomography, and is found to increase the sensitivity of the results. The system has received certification and licenses to sell internationally through the following approvals: European CE marking, Health Canada, China SFDA, UL, ISO 13485:2003, FDA export certification. Marketing clearances pending are Mexico COFEPRIS and Russian GOST-R. 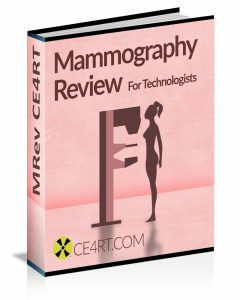 The CEO of Imaging Diagnostic Systems, Inc., Linda Grable states, “The capability of CTLM® is found to be less impeded by dense breast tissue than mammography and will eventually provide radiologists with a complimentary non-radiation based imaging tool; especially when dealing with a dense breast tissue. And the additional patient benefits consisting of no radiation, no breast compression, and no injected contrast agents will hopefully aide with women’s imaging needs globally” . Studies conducted on the efficacy of the CTLM® system demonstrate that when used in addition to a mammogram, the sensitivity rates of detecting breast abnormalities improve considerably. When mammography alone is used, the sensitivity is reported to be 34.4%, while when CTLM® scan was also included in the investigations, the sensitivity increased to 81.57%. CTLM hence increases the sensitivity by more than double and can aid in imaging breast tissue of any density. This is good news for the 40-50% women worldwide that have mammographically dense breasts . CTLM® breast imaging system uses the Diffuse Optical Tomography (DOT) technology – a 3D laser imaging to create digital volumetric models of the breast. The patient lies face-down on the scanning bed so that the breast to be imaged is naturally suspended in the circular aperture on the scanning chamber (Fig. 2a and 2b). A laser beam rotates around the breast and the detectors collect absorption information in cross-sections, just as in a CT exam. Physicians may view CTLM images in individual slices, or as 3-D volume images of the entire breast. Fig. 2b: Breast optical imaging prototype. Patient lies in prone position. Soft compression in a plane and detection in the opposite one . The laser beam used for CTLM is of the wavelength of 808nm. At this wavelength, light is strongly absorbed by blood hemoglobin – and is absorbed equally well by oxyhemoglobin as well as deoxyhemoglobin (Fig. 3). Meanwhile, water, fat and skin can only weakly absorb light at this wavelength. The laser beam can easily penetrate breast tissue of any density; hence, there is no difference in the examination and imaging of extremely dense and heterogeneous breast tissue. The areas of high absorption are the areas with high hemoglobin concentration, indicating rich network of blood vessels. This technique has led us to a very important diagnostic breakthrough: entire tumor imaging through the imaging of angiogenesis. Generally, the area of angiogenesis is much larger than the tumor itself, and hence CTLM can often detect small tumors that are totally invisible or only barely visible on the mammogram. Fig. 3: The absorption spectra of the major chromophores in skin. Oxy- and deoxyhemoglobin (OxyHb and DeoxyHb) absorb equally well at 808nm, the wavelength used in CTLM scans . Another major use of CTLM is to analyze the breast following neoadjuvant therapy. Clinical case studies presented at the European Congress of Radiology in Vienna, Austria compared the sensitivity of MRI and CTLM for the detection of residual angiogenesis. The studies being conducted at the Catholic University in Rome, Italy suggest that MRI may be far less sensitive than CTLM. One patient with locally advanced breast cancer was imaged before and after neoadjuvant chemotherapy. The MRI showed a large volume of angiogenesis prior to treatment. After the treatment, complete resolution of angiogenesis was detected with MRI, indicating a successful treatment. However, CTLM results showed angiogenesis in the breast tissue, indicating that some part of the tumor was left behind that could not be seen on the MRI scan. A biopsy was then carried out, which verified presence of cancer in the breast. In another case, CTLM and MRI scans of a multifocal cancer of left breast showed identical areas of vascularization. After six cycles of neoadjuvant chemotherapy, MRI showed no residual angiogenesis, whereas CTLM still showed it. Residual microfoci of invasive ductal carcinoma were observed on histopathological examination . The patient lies on the examination bed with one breast suspended in the scanning chamber, where a laser source detector surrounds it. The scanning ring is adjusted according to the size of the breast. Generally, the slice thickness is set at 2-mm, but for a very small or very large breast, slice thickness can also be set at 1-mm or 4-mm. The breast is positioned in the middle of the scanning ring. A total of 2 scanning rings are present in the detector system with 84 photodetectors each. The unit takes 17s to move 360° around the breast. The ring descends after each rotation to create a slice at each step. A whole breast is imaged in up to 10-40 slices and takes about 10-12 minutes. Alternation of scanning platform avoids twisting of cables and saves time – the software is busy reconstructing one slice while the next slice is being scanned. This way, the image is ready as soon as the scan is completed. CTLM scans are elaborate 3D images that can have sagittal, axial and coronal views. These images can be rotated alone any axis in real-time . The CTLM system produces laser in the NIR spectrum of a wavelength of 808nm. This wavelength matches the crossover point of absorption of both oxy- and deoxy-hemoglobin. However, the dispersion of photons in the tissue creates a small problem in the prediction of the path that the light follows in the tissue. To take this into account, a large number of source and detector positions are used in the CTLM system so that diffusion of light in the tissue can be approximated. Hence the 3D images produced can be viewed in any axis in real time. An inversion factor in the reconstruction algorithm aids in viewing the results. The high absorption areas (areas with high hemoglobin concentration) are visualized in white. Areas with no vascularization are seen as green or black. Any obscuring areas can be excluded from the image using the settings on the machine. Window and level controls can be used to improve image quality. Image visualization is carried out in surface rendering mode, which consists of a maximal intensity projection (MIP), followed by a front to back reconstruction (FTB). Evaluation of vascularization patterns is carried out on the basis of images formed in these two modes and decisions are made on the normalcy of the appearance of vascularization details. The specifically trained radiologists that read CTLM images are blinded to all kinds of clinical or prior imaging information . Tissue density has no effect on the ability of CTLM to scan angiogenesis as the laser can penetrate the extremely dense and heterogeneously dense breast easily. The absorption patterns of hemoglobin in blood vessels actually determine whether the tissue has a malignancy or not. The abnormal structural and functional appearance of vessels in tumor angiogenesis make them concentrated in one area, which can be visualized on CTLM as an area of greater hemoglobin concentration. It is important for the physicians to distinguish a normal vessel from an abnormal vessel. On coronal view, abnormal angiogenesis appears as round or ovoid areas of high absorption due to high hemoglobin concentration. They are visualized in white and are distinguished from cone shaped or triangular areas. The 3D-MIP view shows the irregular angiogenesis as an oblate sphere, diverticulum, dumbbell or a circle which is clearly different from the normal vessels seen as tunnels. Medio-lateral view, 51 year old on Hormone Replacement Therapy, complains of lump in the medial side of the breast. Lump was palpable at approximately 3 o’clock posteriorly. Ultrasound was equivocal. A frontal CTLM image, with conventional MIP reconstruction, shows axial architecture and sub-areolar vascularity, (the intense white areas), both of which are normal, but there is a localized well circumscribed lucent, (avascular), area situated medially, around 3 o’clock (red arrows). The medio-lateral CTLM view shows what appears to be a large vessel (white), extending down from the subareolar area and bifurcating around the lucent area (red arrows). An FTB, (surface rendering), lateral CTLM image shows that the vascularity seen previously, (blue arrows), is in fact largely due to residual well-vascularized lobular tissue which has been pushed apart by a large cyst (red arrows). Confirmed by aspiration biopsy. CTLM is a very powerful tool to detect angiogenesis, which is indicative of tumors. It can differentiate between benign and malignant tumors. It is a feasible tool to increase the diagnostic capability of mammography. 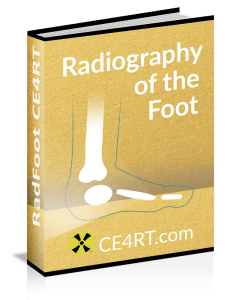 The scans can be difficult or inconclusive for the radiologists. Hence, there is always a need to have a counter-test or follow-up exam, like a biopsy, to be accurate. A CTLM alone does not give us the power to make a decision, but enhances the surety level if combined with other tests. Schweiger M, Nissilä I, Boas DA, Arridge SR. Image reconstruction in optical tomography in the presence of coupling errors. Applied Optics. 2007; 46(14):2743–2756. Herranz M, & Ruibal A. Optical imaging in breast cancer diagnosis: the next evolution. Journal of oncology. 2012. Chance B. Near-infrared images using continuous, phase-modulated, and pulsed light with quantitation of blood and blood oxygenation. Ann N Y Acad Sci 1998; 838:29–45. Jin Q, Zhaoxiang Y. CTLM as an adjunct to mammography in the diagnosis of patients with dense breast. Clinical Imaging. 2013; 37:289–294.